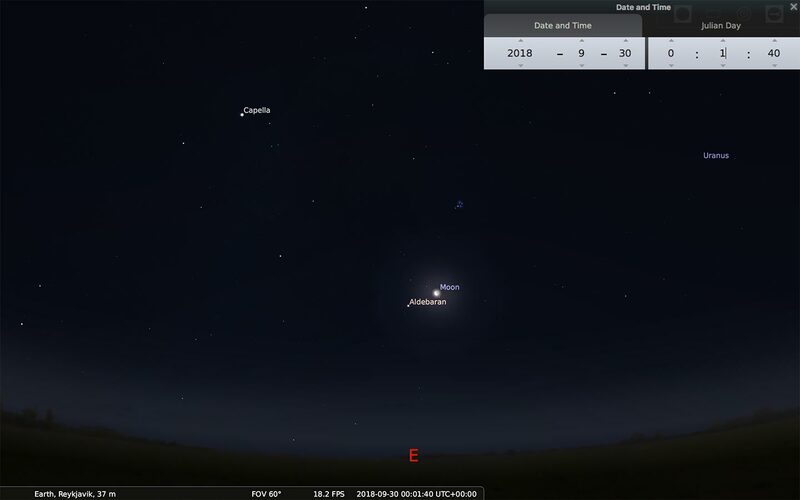 Tonight, September 28 2018, the waning moon pays a visit to the constellation of Taurus the Bull. The moon is still so bright that it renders most of the stars in it invisible. But one stands out like not other: Aldebaran, Taurus’ brightest star, the red eye of the angry bull. Aldebaran is in front of a beautiful cluster of stars called the Hyades. If you happen to have access to binoculars, point it towards it. Your field of view should be filled with glittering stars. Aldebaran is a swollen red giant star roughly 44 times the diameter of the Sun. It gives us a glimpse of our Sun’s future since it too will become a red giant some 5 billion years from now. Aldebaran is about 65 light years away from us, meaning that tonight, you’ll be seeing light that left the star 65 years ago. What where you up to then?